Hollywood remains fascinated by the concept of ones and zeros. The idea that technology will take over our hegemony in the world is anchored in our pop culture. The bastion of the tech world is clouded with toxic masculinity, yet there are still women who’ve managed to crack these walls. This even translated into film, see wide-eyed Sandra Bullock in The Net, hipster Angelina Jolie in Hackers, and of course Noomi Rapace in The Girl With The Dragon Tattoo. It’s been reported by the U.S. Department of Commerce that men dominate the hacker subculture, yet 28.5 percent of all computer programmers are women. Mr. Robot has been widely praised for its accurate portrayal of technology and the tech industry, but how do the female characters fair in the show? Sam Esmail is the brain behind the show. In 2014, Esmail wrote and made his directorial debut with the film Comet, so Mr. Robot will be (for the time being) his pièce de résistance. The show was initially created as a feature film, but Esmail changed his mind and turned the screenplay into a TV pilot. He shopped the play around and ended up with the USA Network. This seems like a surprising choice since the USA Network has a reputation for their – let’s be honest here –mediocre programming. In recent years the network has tried to turn their image around and churned out several gems such as Psych, White Collar (well, at least the first two seasons), and Suits. Still, the obvious choice for the hacker, vigilante saga would be HBO, FX, OR FXX. However, USA Network gave Esmail total control of all aspects of the show. The show is produced by Universal Cable Productions and Anonymous Content. Esmail hired Niels Arden Oplev, who was behind the Swedish version of The Girl with the Dragon Tattoo, to direct the pilot. The pilot won the Audience Award after the screening at SXSW, and was named an official selection of the 2015 Tribeca Film Festival. Mr. Robot was renewed by the network, for a second season of at least 10 episodes, before the official series premier. Esmail has mapped out five seasons of the show. The fascination with hacker groups is nothing new. In our information society, it seems even more prominent seeing how digitally networked our society is, how much we rely on social media and automatic systems, which highlights the vulnerability of our privacy. 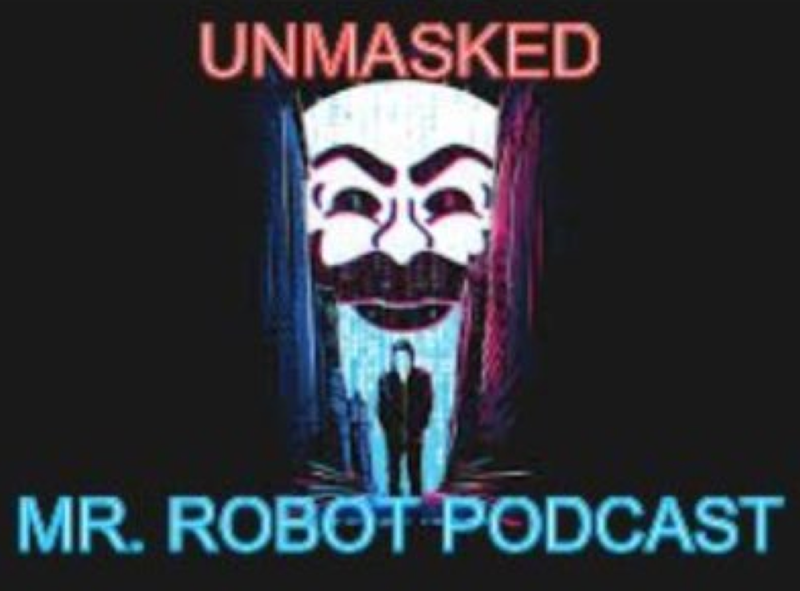 Inspiration behind the show can easily be traced back to old hacker groups such as Cult of the Dead Cow and Cyberpunk (which inspired Wikileaks founder Julian Assange), and more recently hacker groups such as Anonymous or the Lulzsec group who placed attacks on high profile sites such as Sony Pictures Entertainment and the CIA. Let’s not forgot about the Guardians of Peace, who were behind the Sony leak and (for a short amount of time) shook up Hollywood. For some, the recent wave of hacker groups have launched a new form of organized crime. Hacker groups are often marginalized in the media and portrayed as the equivalent of terrorist groups. It seems that most hacker groups toy with the political and economic complexity of their ideology. What also comes into play is their struggle between power and anger. The groups are angry at the status quo and want to see change – especially with the large conglomerates who are deemed abusive. Yet, they enjoy the power that their actions bring. They often perform morally questionable actions – which are sometimes necessary – in order to bring about justice. The instant success of Mr. Robot comes as no surprise. The show is confident in which direction its headed and how the story will evolve. Mr. Robot is a breath of fresh air in our current TV-landscape since it doesn’t hide behind fictional names, brands or political situations and completely embraces its dogmatic world. The show even takes jabs against our consumer society and the goal of “living a normal life.” The season finale was postponed for a week since the episode contained a scene where a character sustained a fatal gunshot wound during a TV interview, which had an uncanny resemblance to the way that WDBJ journalists were killed on live TV in Roanoke, Virginia. In the season finale there was also a quick reference to the recent Ashley Madison hack. The premise of Mr. Robot is fairly simple. The show centers around Elliot Alderson (Rami Malek), a 28-year-old programmer who during the day works as a cyber security engineer at Allsafe and in his free time is a vigilante hacker. Elliot ends up in a tough situation when the leader of the underground hacker group FSociety, Mr. Robot (Christian Slater), eggs him on to destroy Evil Corp, the firm he’s paid to protect. Spurred by his personal beliefs, Elliot struggles to resist the opportunity to take down the multinational CEOs he believes are running/ruining the world. Elliot functions as the eyes and ears of the audience – and provides the voice-over narration. Quite frankly he’s one of the most unreliable narrators seen on TV in recent years. He’s struggling with clinical depression and has social anxiety disorder. Elliot deals with his own paranoia and hallucinations and is most of the time high or going through withdrawal. Most TV critics rave about Esmail’s attention to detail. Well, it has to be said, Esmail works with surgical precision. When you see code on a computer screen, you better believe that it’s real. Esmail hired a cyber-security engineer to provide the data that appears on computer screens during various hacking scenes. He also put attention to the social engineering aspect of hacking since hackers have to figure out human behavior patterns in order to find the weak spot in the system. Well, that certainly brings the drama to the show. The show’s clear trajectory has led to frequent comparisons with Fight Club, Dexter, and Breaking Bad. Similar to Walter White, we follow Elliot on his descent into amorality. The show highlights the idea of power and raises the question if Elliot undertakes action for the right reasons. While Elliot has good intentions, he certainly enjoys hacking everyone left, right, and center, which momentarily makes him feel powerful. Elliot can be seen as one of the more “morally grey” antiheroes on TV (though some would argue that Elliot’s journey is a typical hero vigilante origin story). The interesting part is that the viewer can see that Elliot is a mess from the start. His struggles with depression and anxiety aren’t glossed over, he’s very unstable, and he doesn’t play the role of the charming yet genius misfit. The female characters in Mr. Robot consist of Elliot’s co-worker and childhood friend Angela (Portia Doubleday) – who could be Amanda Seyfried’s twin. Elliot regularly visits his psychiatrist Krista Gorden (Gloria Reuben). In order to suppress his emotions, he uses morphine which he gets from his neighbor and occasional fuckbuddy (later girlfriend) Shayla (Frankie Shaw). He works at FSociety with the stubborn Darlene (Carly Chaikin) – who’s unrecognizable from her role as Dalia inSuburgatory. Also at FSociety works the subdued Iranian hacker Trenton (Sunita Mani), who doesn’t want to follow in her parents’ footsteps while chasing the unattainable American Dream. There’s also Joanna Wellick (Stephanie Corneliussen), the Lady Macbeth wife of the antagonist of the show, the Swedish Patrick Bateman Tyrell Wellick (Martin Wallström) who’s the Senior Vice President of Technology at Evil Corp and has an insatiable hunger for power. Lenika Cruz of The Atlantic states that the show’s “treatment of its female characters feels like an extension of its broader portrayal of those typically marginalized on TV.” That’s a valid point. All the women in the show are fairly fleshed out characters who are allowed to be angry, manipulating, sweet, caring, and experience all the emotions that lie in between. So, basically they’re regular human beings. At first sight, it seems that Elliot’s relationship with Angela has a White Knight undertone. In the first episodes Elliot reacts, overprotecting and constantly tries to stand up for Angela (see the meeting with Evil Corp sexist CTO, to which Angela states: “Even if I’m losing, let me lose, OK?”). Angela comes across as a cookie cutter character but she has an interesting arc. She’s the epitome of our current generation of young professionals who are forced, as a result of the current state of the job market, to be sucked in by the empty promises of corporations because of debts and lack of job mobility. Plus she can’t lean on her dad who is financially struggling. Her strength can be seen in several moments throughout the show: when she finally stands up for herself against her insufferable, cheating boyfriend, and in the season finale when she powers through after horrible events at her job – let’s hope that her new Prada shoes remain squeaky clean. Darlene is introduced as the girl who’s one of the guys. She’s loudmouthed, smart, but we find out that she has a softer side. Presumably she became this tough because she’s always been the only one – or one of a few women – within the male hacker society. Season one was mostly Elliot’s story and slowly the plot unraveled and we got glimpses of the other characters. It took several episodes before her character was fleshed out. Darlene really came into her own in the last three episodes. The show had an interesting twist at the end, where it flipped the relationship between Elliot and Darlene upside down, and their interactions got a whole other meaning. One of the smaller plotlines contained Elliot’s girlfriend Shayla. Shayla was under a lot of pressure by her violent drug supplier. The relationship between the two seemed pure because Shayla was aware of Elliot’s drug habits and his neurotic behavior, while he hid most of it from his childhood friend Angela. One of the more hilarious scenes is in episode 3, “d3bug.mkv,” when Elliot asks Shayla to be his girlfriend and she joins him for a dinner at his boss Gideon’s house and lots of awkward small talk ensues. It all goes down after that for Shayla and it can be said that she was thrown under the bus for Elliot’s man pain. Gloria Reuben is excellent in her role as Elliot’s psychiatrist – Malek and Reuben have electric chemistry in their scenes. She tries her hardest to get him to open up. Elliot in his turn only sees a connection with her since they’re both lonely and he confesses his hacking tendencies at the end of their therapy stint. In episode 7, “v1ew-s0urce,” he totally comes clean and says, “ I don’t just hack you. I hack everyone. But I’ve helped a lot of people. I want a way out of loneliness, just like you.” Her expression during his confession is marvelous. In the season finale we find out that she hasn’t given up on Elliot yet. Esmail made an interesting choice when he picked B.D. Wong for the role of Whiterose who is a transgender woman; arguably he could have chosen a transgender actor but all along he had B.D. Wong in mind. Whiterose is the head of the dangerous Chinese hackers group The Dark Army. Wong plays a small part in the show but has a short, tense scene with Elliot. Whiterose is the complete opposite of the unstable Elliot: she is competent, intimidating, and focused. Joanna remains the most mysterious character. She fully supports her husband Tyrell in all his endeavors. She even knows that he will use sexual favors – with men and women – to get where he thinks he needs to be. She plays Tyrell like a fiddle. One of their most amazing scenes is in episode 6, “br4ve-trave1er,” when Tyrell is upset and destroys their kitchen and she calmly keeps munching on her food. Mr. Robot is one of the best new shows that has come out in recent years. The immaculate attention to details, cinematography, pop culture references, and critique on our digital society are delicious. The show is not without its faults since there are some questionable lines of dialogue, (i.e. Elliot says of Trenton: “She may look innocent, but I’d be careful, she has some Allah Akbar in her”). Furthermore, it’s quite unbelievable that Angela and her boyfriend (who also works at Allsafe) play unknown media on their computer without checking it out first. The episodes can drag at certain points with all the critique on the large evil corporations, manipulation of the public and greed of the top dogs. What’s up for season 2? There are so many unanswered questions. Who was knocking on Elliot’s door? Where’s Tyrell? Will Joanna and Darlene have a bigger roles in the second season?. We’ll have to wait and see. Everything constantly changes in the world of Mr. Robot. Nothing is set in ones and zeros.